Today's discussion is going to be all about GoDaddy Magento hosting. All we know Magento as one of the most powerful eCommerce shopping carts. Thanks to its top-notch flexibility, optimization, and developed integration, this solution can tweak your e-store to a level of uniqueness. Taking into account that Magento is a free PHP based open-source software, it requires a decent plan to make your business go live. A reliable hosting is a guarantee of stable and productive performance of your store and is an ultimate way to successful business. GoDaddy is the America’s biggest domain registrar and web hosting provider for hundreds of thousands of retailers. It won`t be a mistake to say that the main reason for such evident popularity is affordability and user-friendliness. Being an automated shopping cart migration service, we regularly do database transfers to Magento and can say that GoDaddy is one of favoured hosting used for Magento. But we cannot omit the the fact that such choice is often accompanied with many difficulties. That`s why we decided to dig deeper and answer the popular question: Does GoDaddy Magento hosting handle Magento good enough? Stay tuned; the answer is here! Magento on GoDaddy : A Good Idea or Not? Economy (2.49$ per month): 1 website with 100 GB storage, free domain. Deluxe ( 3.99$ per month): small/midsize business oriented. Allows you to run the unlimited number of websites with unmetered storage, free domain. Ultimate (8.49$ per month): targeted at complex sites, offers the unmetered storage, free domain + premium DNS, 1-year SSL certificate. Download Magento installation package from the official website. One more thing GoDaddy hosting is proud of - round-the-clock support. It means that the users can get assistance via 24/7 chat and phone support. According to whoishostingthis.com review, it takes the ninth place out of ten among recommended hosting for Magento. A fairly good position. However, there is a great number of users who refuse it. If you google a bit, you'll find that lots of clients are frustrated by their hosting experience and disappointed by GoDaddy support and mostly “super” slow control panel & site speed. In defense, there are many thoughts that the problem does not cover in GoDaddy hosting in general but in GoDaddy Magento hosting specifically. Many of merchants think that Magento is too large for GoDaddy and is simply not able to cope with its coding complications. No doubts, there are possible ways how to speed up your site. You can install APC (Alternative PHP Cache) or set the Memcache in your server. Undoubtedly, you'll need a significant level of tech expertise. Regardless the fact that Godaddy does offer 24/7 support, there are many users finding it useless. They are discouraged by "bad, dishonest, rude and poor” service support, claiming that they need wait weeks to get the response. The same goes with the price. Although GoDaddy is cheap, once the promotional cost is over, your hosting may cost you a pretty penny. Some users are sure that such price jump is unacceptable claiming that the service quality does not correspond such drastic costs. We have no rights to say that GoDaddy Magento hosting is the worst, the same we cannot guarantee that all feedbacks are trustworthy. However, we did really have many problems when transferring data to Magento hosted on GoDaddy. Sometimes we encountered incorrect migration results that forced us to remigrate the whole data or, what's worse, the migrations just fell down. That`s why we want to acquaint you with alternative hosting solutions for your Magento e-stores. SiteGround is an independent web hosting company established in 2004. It`s a highly optimized and offers a one-click Magento install. Relying on Magento Explorer review, it`s #1 solution with the overall rating score - 10. Based on numerous feedbacks, we can see that the main reason why it's so popular is a quick server performance and exemplary customer support. What's more, it can boast of built-in caching that is a must if your aim is getting a valuable traffic. It demonstrates high-level security providing the merchants with tons of useful tools with constant updates. By default, it uses the latest PHP 7 version with all advanced security patches. It includes sophisticated IDS/IPS systems that are aimed to block attackers and bots. Running your site on SiteGround hosting means that CDN Integration is ready to drive more potential customers to your site. It integrates with CloudFlare - an effective content delivery network that will cache the content of your website and distribute it over thousands data centers across the world. It`s responsible for analyzing the traffic blocking the unwanted one immediately. What`s more, SiteGround GoGeek plan offers you a free PCI compliance and free Git & staging areas. Another reason why people are literally flocking to this provider is the price. There are three plans where the basic one starts from 3.95$ a month only! And remember, if you have some questions or just some inquires, SiteGround will provide you with 24/7 support via tickets, online chat or phone. The next goes Liquid Web, another advanced feature packed solution that offers a diverse set of tools to make your business thrive. Liquid Web gained a good name thanks to it top-notch security and awesome reviews in terms of client help and support. The hallmark of this solution is that it won`t only host your site, but will help you run it. With Liquid Web you're never alone! All its servers are being protected by Sonar Monitoring and Heroic Support teams. The first one works to protect your site from issues. Their main aim is noticing the delicious bugs and destroy them until they affect you. The Heroic Support technicians are there to walk you through all confusing hosting staff. If you require to take your business to a new level, Liquid Web VPS hosting will accommodate each of your needs. There are three options of VPS depending on how much RAM you require: from 1GB RAM Plan ( 50$ a month) to 8GB RAM Plan: (219$ a month). If you need something larger, Liquid Web is ready to give you up to 256GB RAM. Apart from it, there are many hosting add-ons which improve your site performance. One of them if DDoS protection that is included at no charge and protects your business from attacks. If you encounter any tech issues, Liquid Web offers 24/7 support via phone & chat and help desk. When it comes to midsize business, Nexcess hosting server based in 2000 is full of positive reviews which we couldn't pass by. Thanks to its enhanced features and continual improvement, this solution is the example of striking performance and amazing optimization. The remarkable thing that stands this server from other competitors is that is highly optimized for Magento and “13x the performance of standard web hosts.” This is achieved through the use of Percona, NGINX-powered server, Magento’s FPC. What's more, it uses Turpentine+Varnish which are actually the features of Magento. What makes Nexcess special is the set of features it offers if you want to kick things up. It provides the users with a global CDN that eases the load on your server and improves search engine placement. These features can be added to the monthly fee. You can benefit from a great variety of SSL certificates on their website. It offers web tools that guarantee to secure your site from any issues: DNS checker, secure password generator + some others: client environment page, Unix timestamp converter. Nexcess works with multiple plans satisfying different kinds of needs and business aims. 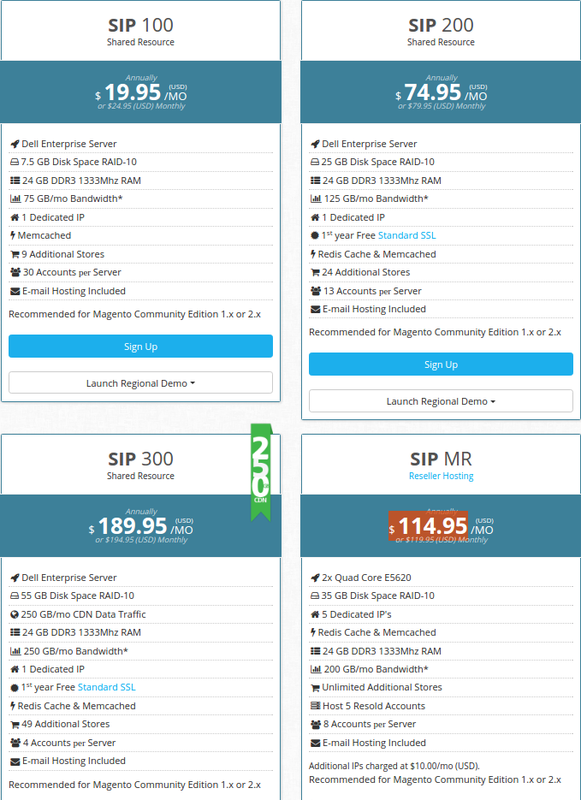 Speaking of Magento hosting, there are four pricing options ranging from $ 19.95$ / mo to $ 114.95. Simply choose the one that corresponds to your needs. Nexcess offers 24/7/365 support via telephone, fax, email and online chat allowing you to get assistance any time day or night. The next representative of best hosting for Magento is Bluehost and now is one of the most popular, affordable shared hosting options. Thanks to its excellent load time - 492 ms and 99.82% uptime, this server is recognized as most user-friendly hosting with utmost features. It`s secure and reliable, offering piles of tools that combat some all possible website risks. You can prevent spammy blocks with the help of Spam Experts or SpamAssassin apps. It`s important to mention that Bluehost supports CloudFlare that helps you to avoid annoying DDoS attacks with unwanted traffic from spammy sites. Bluehost can boast of advanced integration along useful Google Apps. If you want to have a fast website, you require a fast hosting server. The Bluehost is the ultimate solution to offer you the incredible speed results along with pleasant server response. 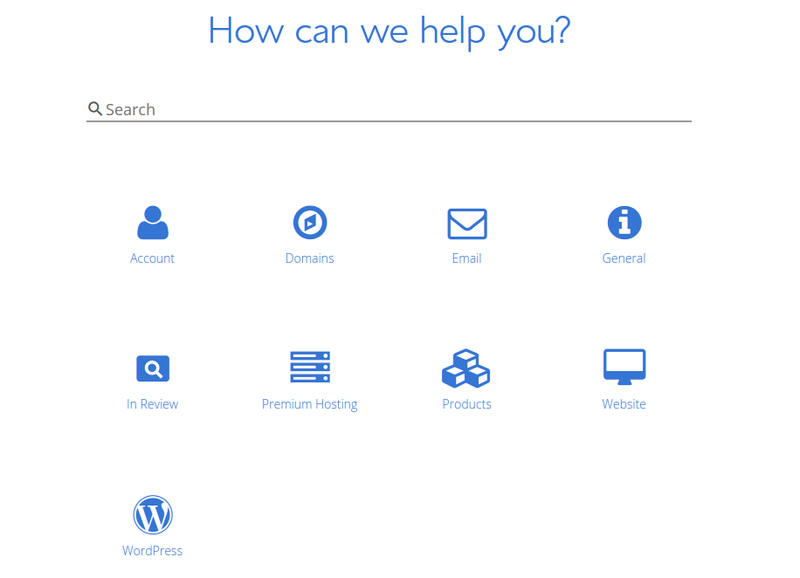 Bluehost offers an exclusive assistance to their clients. There are two types of support: self-support and ticket history. Based on various GoDaddy Magento hosting reviews, all we can see is that it has room for improvement. Luckily, there are tons of hosting options all over the net which can be a great solution while taking your Magento e-store to business heights. If you`re ready to make a leap forward and plan to migrate to Magento, Cart2Cart will be pleased to lend you a hand! We'll not only help you with the migration but will manage all hosting issues. If you have any questions concerning your migration, feel free to contact our support team. Don't waste your precious time! Take action - start a Free Demo migration and enjoy your fresh business start! 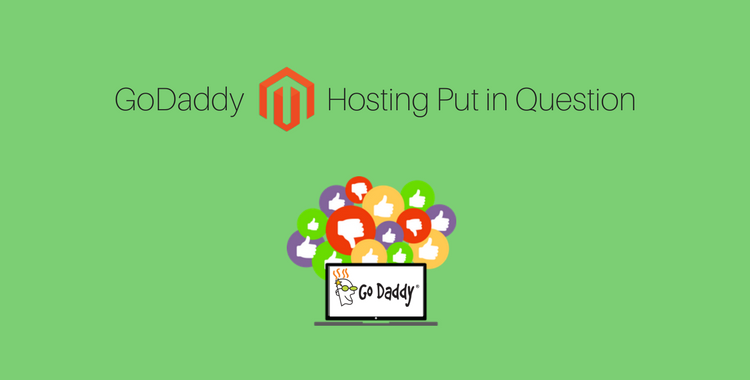 7 thoughts on "GoDaddy Magento Hosting Put in Question"
Thanks for bringing out some very good insights, though I am also of the believe that an alternative of Magento godaddy hosting is Cloudways. Your opinion is very important for Cart2Cart! Thanks a lot! Thanks for sharing it, Your article contains almost all the trusted Magento hosting provider except few. Thank you for the feedback. 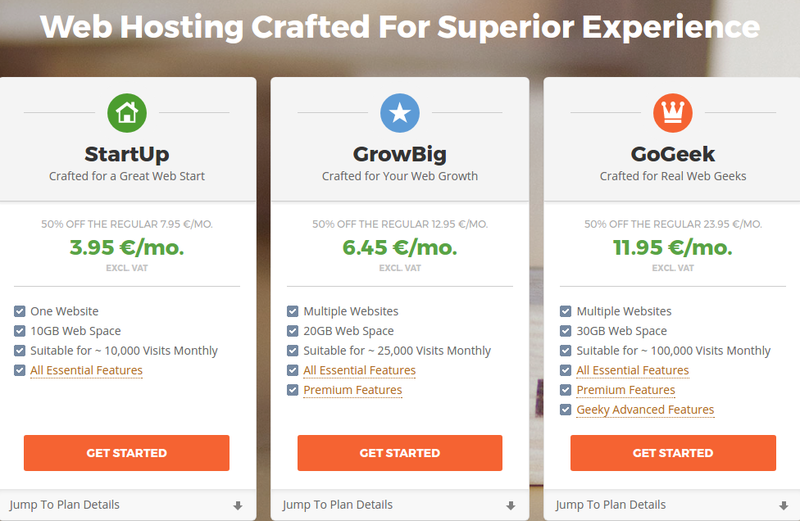 We agree with your suggestion concerning various hosting providers like this one. Maybe you can offer any other solution or advise some useful content for the rest of our articles? We would be pleased to hear from you more. Thank you again. Thank you for the comprehensive article, Marta! My Magento-based site performs very well thanks to the hosting by BGOcloud. I think it’s important to opt for hosting, which includes SSD storage, as it improves website’s speed. At least, now I notice the difference between using HDD and SSD web hosting. Hi Marta, Thanks for sharing review about Magento hosting, But, I would like you to check about Cloudways, I had been looking for recommendations and found 3 most recommended by people, Nexcess, Cloudways and Hostgator for Magento hosting on Managed Platform.